This article includes a step-by-step guide to install Halow Live TV Addon on Kodi 17 Krypton. Find out how to stream thousands of TV Channels now. 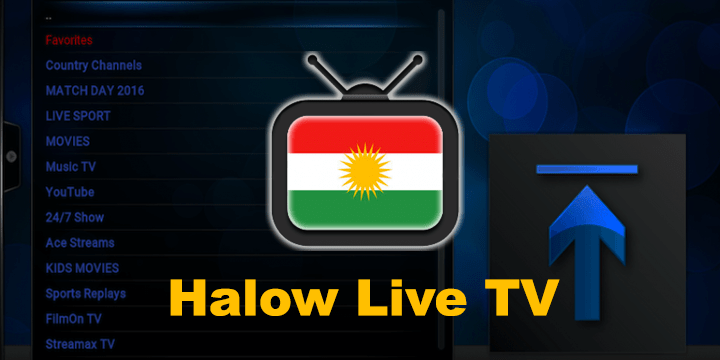 This article includes a step-by-step guide to install Halow Live TV Addon on Kodi 17 Krypton. Select the None and then enter this url in the box “http://kurdmovie.net/repo/“. Note: If you want to watch a foreign channel you may need to use a VPN to change your IP location to that country. Here is the best VPN service for Kodi. Hi there, I tried installing it and it asks for f4mtestet. What to do now? Hi. You should accept to install f4mtestet so the addon Halow Live TV can work properly. Can you tell me how to get both Sky and BT sports, via an app downloaded on to my Amazon (Alexa) Firestick please. Which is the best App, and where can I find it? Many hanks. Can only watch soccer. American Football listed, but not what it is. I just tested installing it with Kodi 17 krypton and it’s working fine.